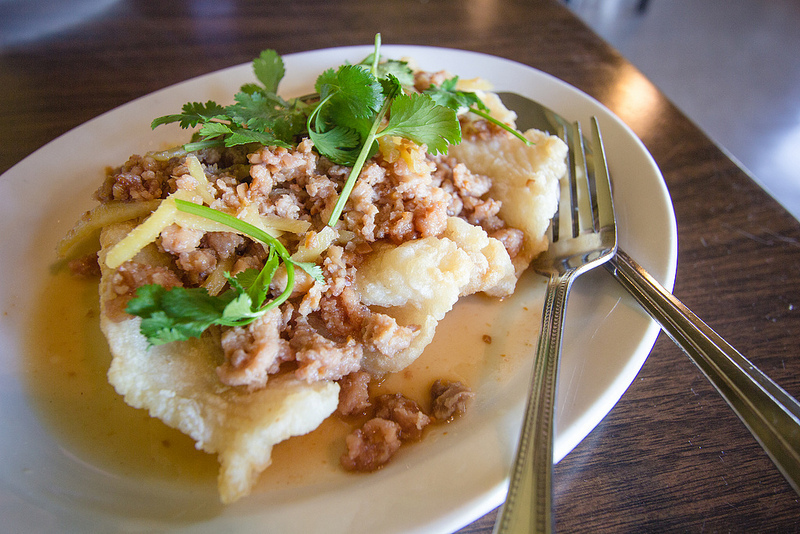 Chez Sovan is a hole-in-wall Cambodian restaurant, and is only open M-F, 11am to 1:45pm. Crispy deep fried Basa fish fillet topped with ginger sauce, ground chicken, salted beans, shallots, and garnished with cilantro. Also tasted fish sauce in this dish.